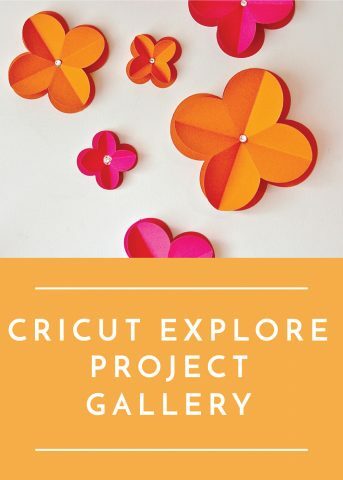 A few months ago, I kicked off a Using the Cricut Explore for Home Decor Series. 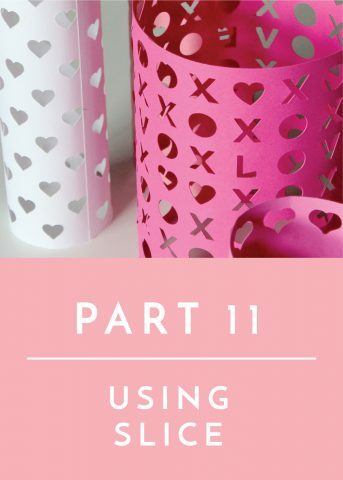 As most of you know, along with my sewing machine, my Cricut Explore is how I make custom and budget-friendly decor for our home. 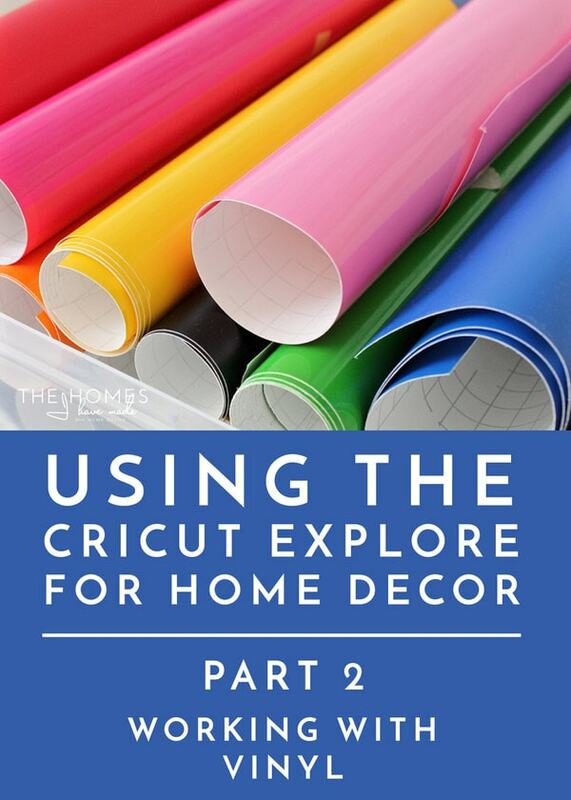 There are so many things the Cricut Explore can cut; but next to paper, the main thing I use it for is vinyl! 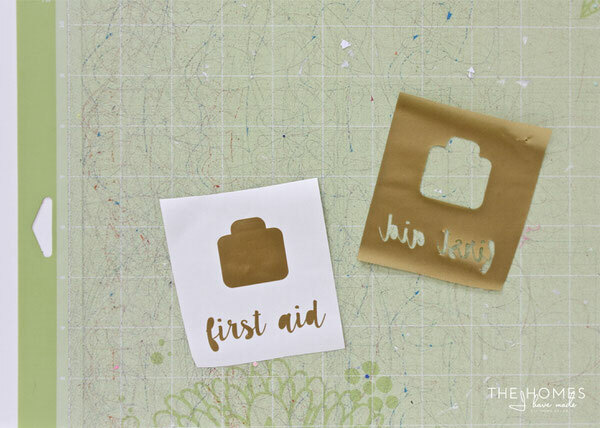 From wall and furniture decals to labels and personalized gifts, cutting vinyl is seemingly a weekly occurrence around here (if not more!). 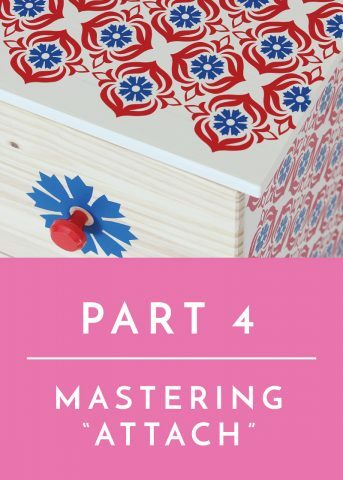 I realize there are many, many blog posts and videos specifically dedicated to working with vinyl out there on the world wide web (if you need more info or want to go more in depth, I recommend YouTube!). 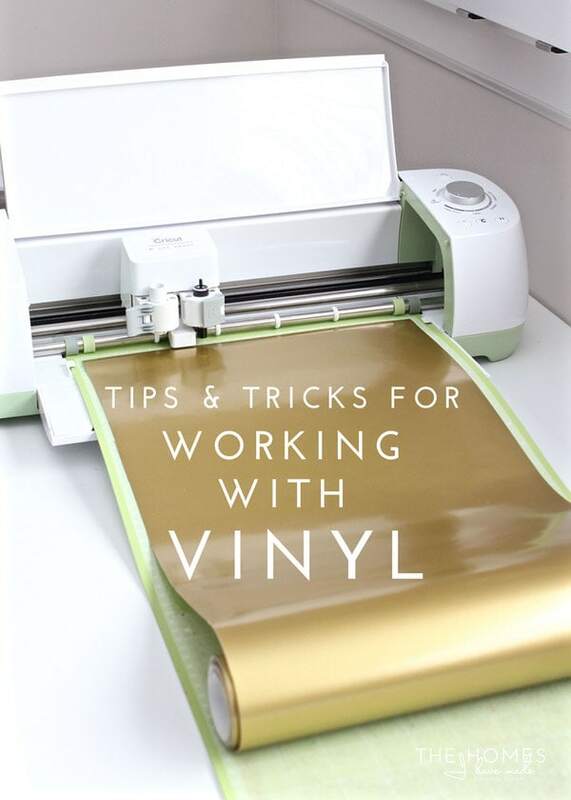 However, over the years and dozens of projects I’ve completed, I’ve picked up some tried-and-true tips and tricks for working with vinyl. Hopefully this post will help the newbies out there get started with vinyl and perhaps show you vinyl veterans some time-saving tricks! Let’s jump in! Many of the wall and furniture treatments I’ve done over the years have involved vinyl, and almost every single labeling project I do is made out of vinyl too! 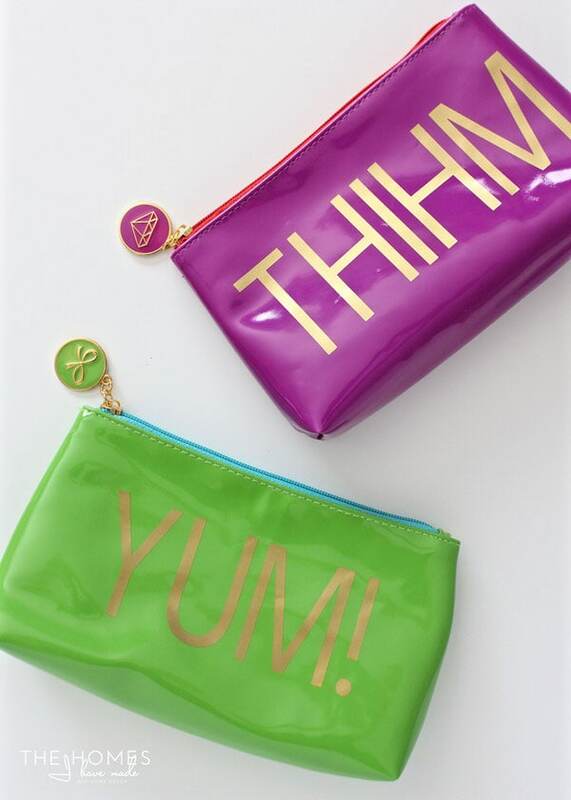 Vinyl is now available in pretty much every color and sheen (and now even patterns! ), making the possibilities for your home and your projects endless! There are lots and lots of vinyl options available these days. 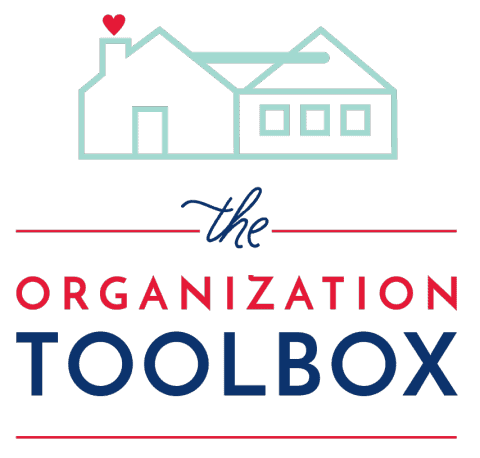 Admittedly I haven’t experimented with too many options; but that is mostly because when I stumble upon something I really like, I don’t feel compelled to keep looking for other options. My preference is Oracle 651 vinyl, and I like the high gloss version (but have also used the matte finish on many occasions). Although the 651 is listed as “permanent, non-removable,” I have been able to remove it from most surfaces (with some effort). That said, the removable/indoor option (Oracle 631) is also a great if you want a surely removable choice. I find it helpful to keep a variety of colors on hand. 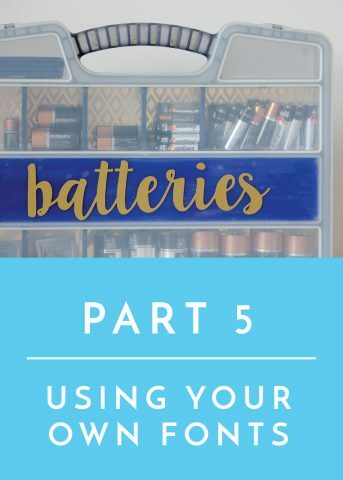 Beyond blog/home projects (on which I tend to use a limited color palette), I often personalize water bottles, crayon boxes, art kits and other items as birthday presents for Henry’s little friends. 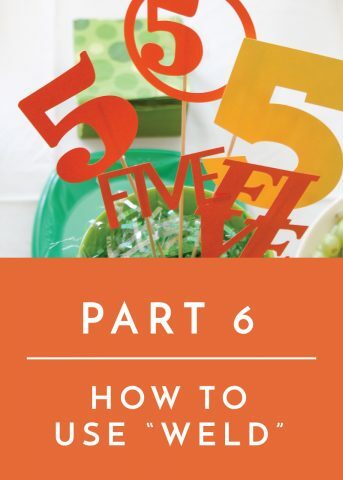 Being able to cut a child’s favorite image in their favorite color is part of what makes the gift so special; and having an array of colors keeps me from running to the store with each birthday invitation. About 18 months ago, I invested in 30 5′ rolls of Oracle 651 for about $100 via eBay. I have yet to work through it all, and I work with vinyl a lot! 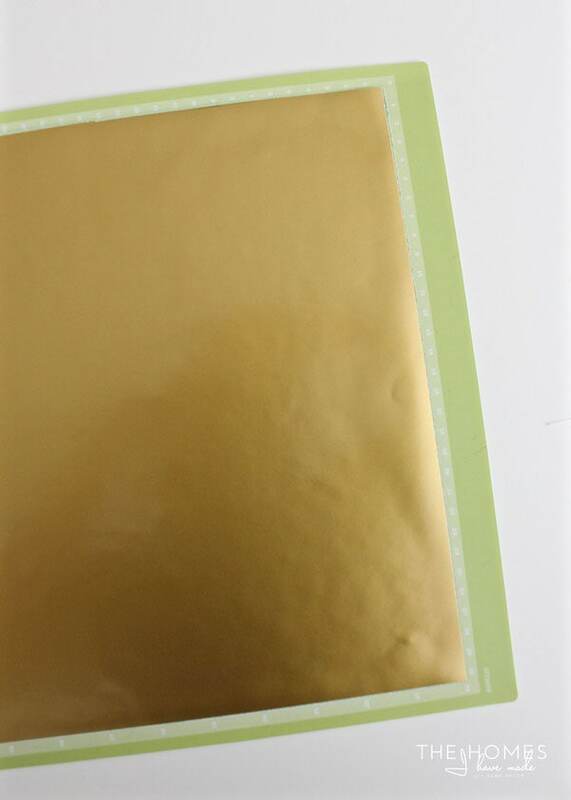 Ebay has lots of different “set” options for vinyl (from 6 rolls and up), as well as sets of 12×12″ sheets. But Amazon’s options are also really, really good. 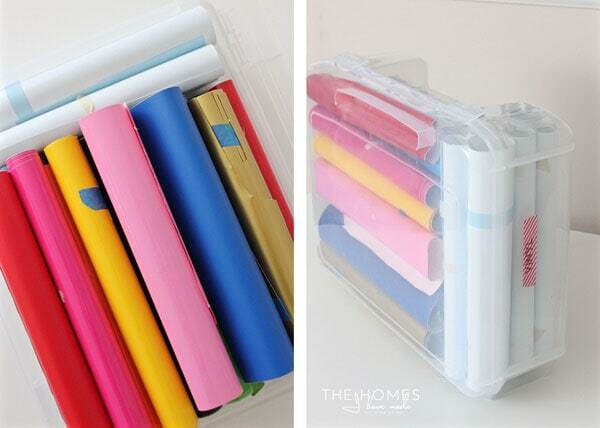 I love these packs from Amazon, which gives you a 12×12″ sheet of 24 different colors; and this set of 10 rolls can’t be beat! In addition to vinyl, you will also need some transfer paper in order to make your images look clean and professional on your end project. 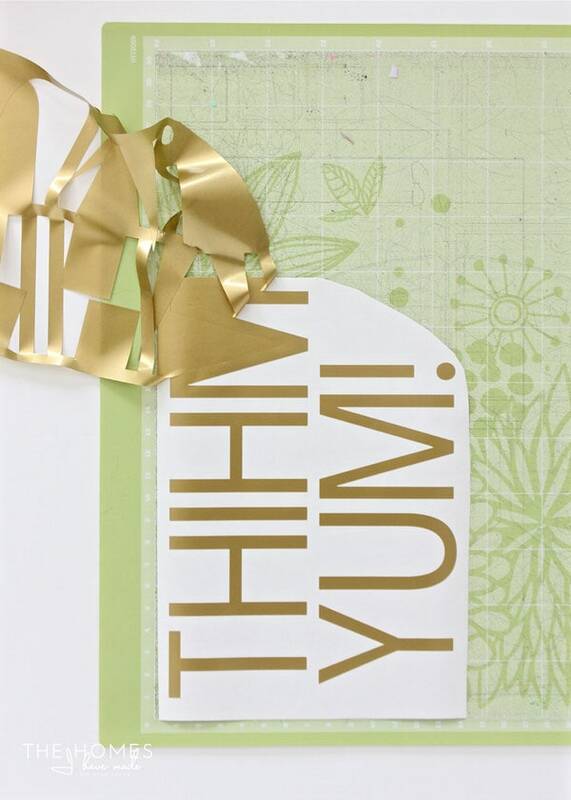 I’ll get more into detail of transfer paper below, but hands down this one by Cricut is my favorite. 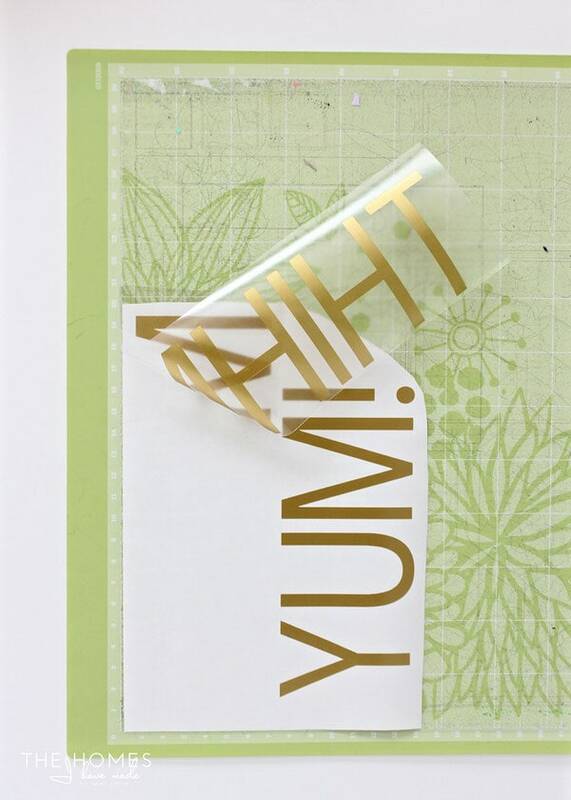 Not only is clear transfer paper a must (for lining up and layering your images! 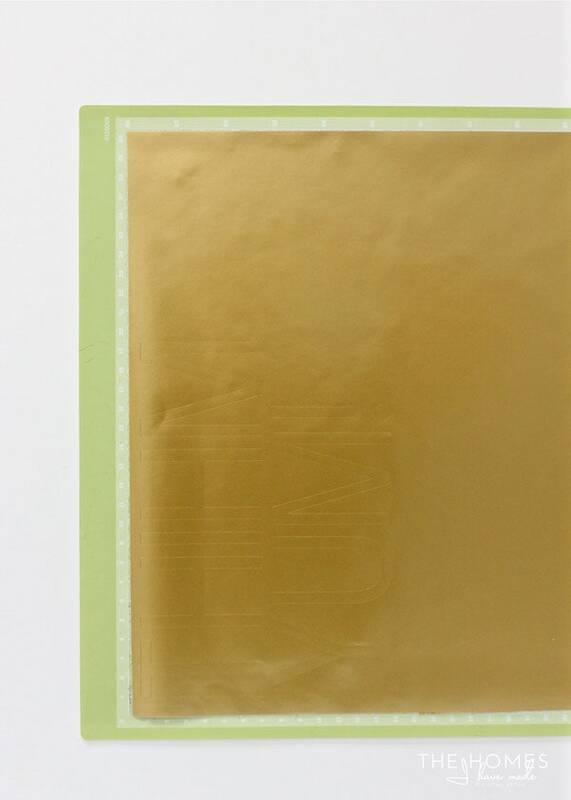 ), but the grids on this transfer paper and its durability make it better than anything I’ve ever used. Order yourself a couple rolls, and keep it on hand! 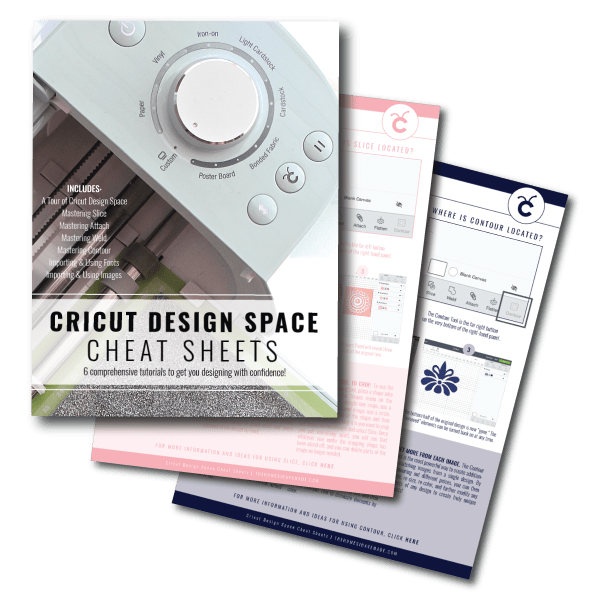 Now that you have your vinyl, you will first need to design your image using Cricut Design Space (which is Cricut’s free online design software). 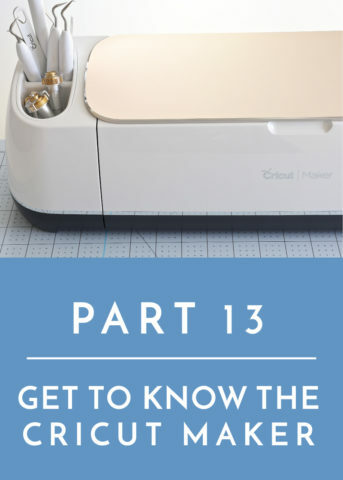 Once upon a time, Cricut’s machines weren’t able to handle intricate cuts and small details, but those problems have been fixed ever since they introduced the Explore line. 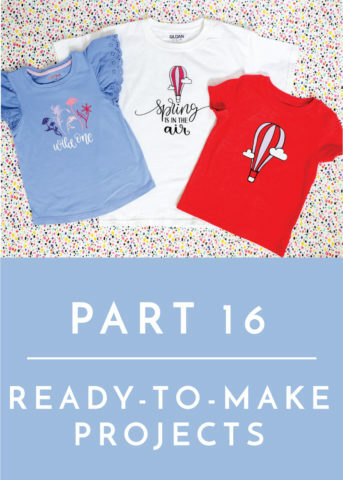 I’ve never had an issue with a design being too intricate or detailed, so design your little heart out! 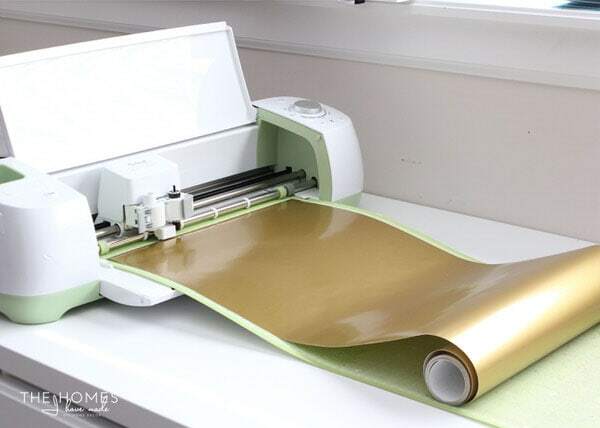 Once you design and send your image to be cut, you will be prompted to load your mat into the machine. Before doing so, line up the edge of your vinyl with the leading edge of the mat. Press firmly and smooth out any wrinkles or bubbles. TIP! 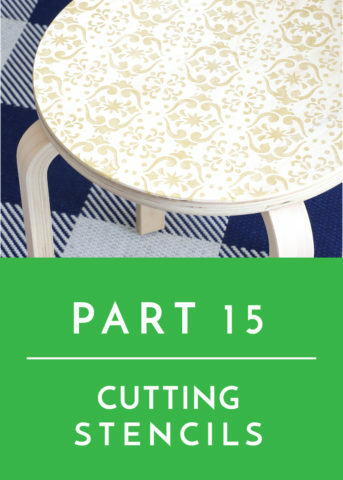 Notice that I didn’t say “cut a piece of vinyl to fit your design and secure it to the mat.” To save the time and hassle of measuring (and running the risk of your image not fitting), don’t bother cutting down your vinyl. In almost all cases when I cut an image, I secure enough vinyl to the mat to fit my image, then let the rest of the roll sit on the mat (so that it will ride with the mat as the machine is cutting). 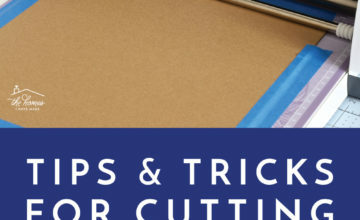 After your mat is loaded but BEFORE you hit cut, double check that your machine is set to “Vinyl.” Sure you can cut vinyl on other settings, but the machine is perfectly optimized to cut vinyl in order to make transferring the image cleanly and easily. TIP! 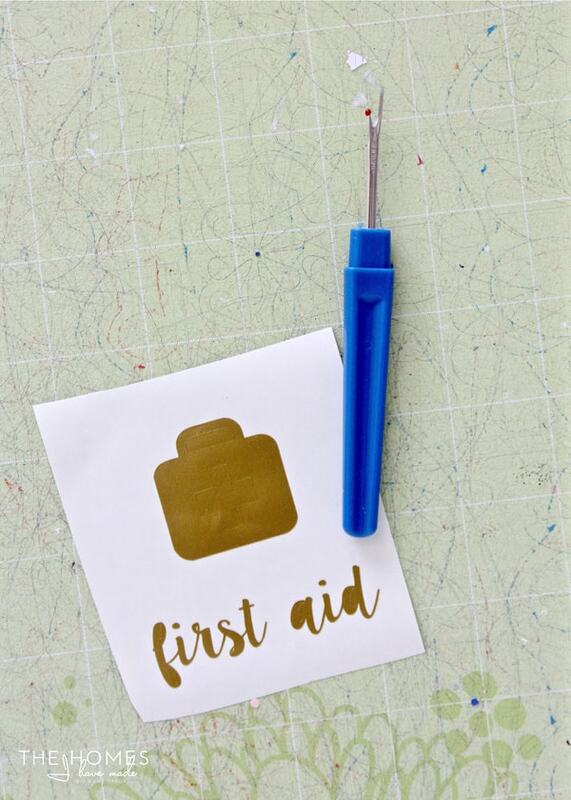 If you change mediums a lot, it might be helpful to post a sticky note or other reminder to prompt you to check the dial before hitting cut each and every time! 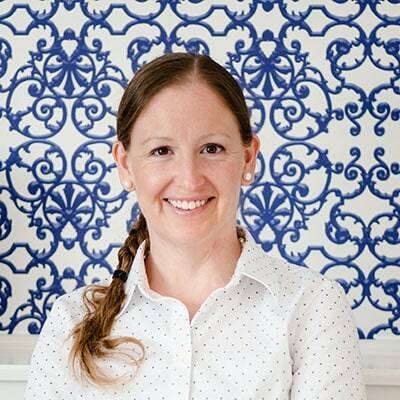 Once you hit the cut button, the machine will cut your image with incredible precision. Below, you can see some labels lightly cut for my purse pouches a while back. 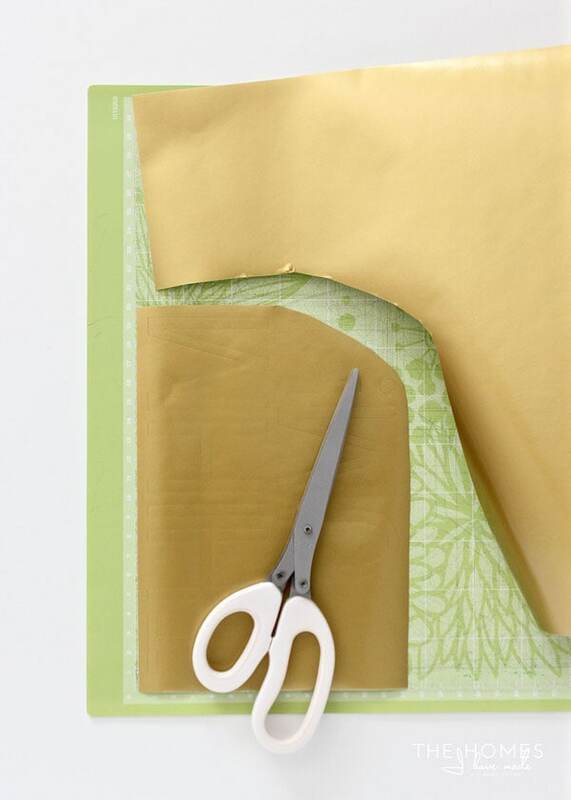 Once the image is cut, trim away the vinyl roll. 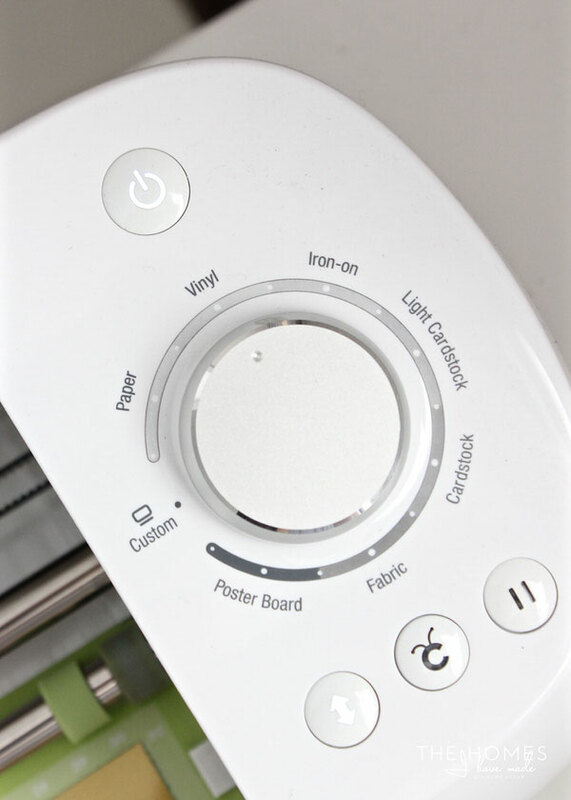 Not only does this ensure you have enough vinyl for the entire image, but it helps conserve vinyl and reduce the amount of waste/little pieces left over (more on that in a minute!). 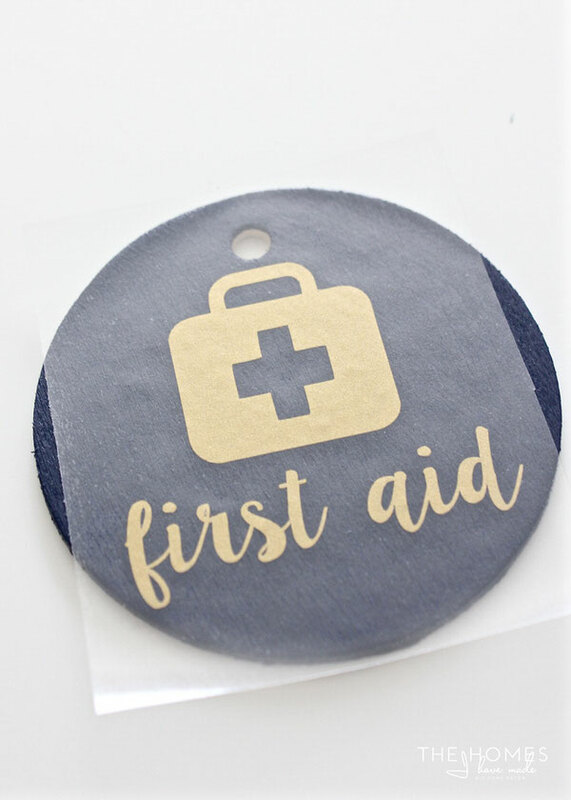 Once the roll of vinyl is cut away, leave your cut image secured to the mat (or re-stick it to the mat if it peeled off while you were cutting away). Most often, vinyl is on rolls; and once you pull it off the sticky mat, is often rolls back up, making the cleaning/weeding process much harder. TIP! 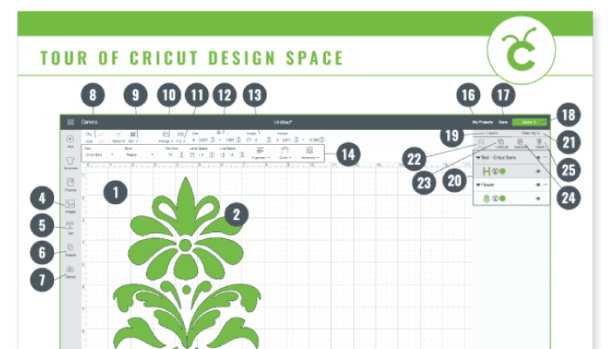 By leaving the cut design on the mat, it remains perfectly flat so you can continue to work on the design to prepare it for transfer. To clean up the image, simply pull away all the “negative vinyl” (essentially anything that is not part of the final image). If you used the vinyl setting AND have a good blade on your machine, your vinyl should pull away perfectly, often in a single piece. Even if it pulls away easily however, be sure to take your time so that you don’t accidentally pull off small details from the image. Also, try hard to not let the sticky side of the vinyl you are removing stick to any part of the final cut image. 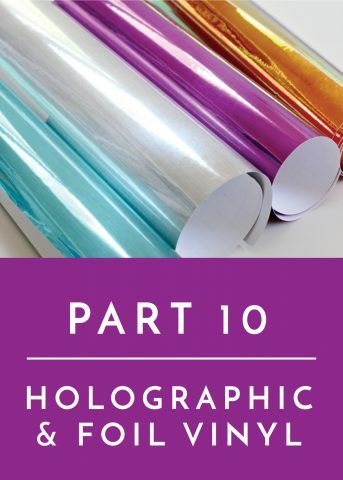 Vinyl stretches, and pulling the vinyl apart can often distort your final image. Once your image is fully cleaned up and all the negative vinyl has been pulled away, it’s time to transfer it to your project! When I first started working with vinyl, I used to painstakingly transfer one piece of my image at a time (by hand!). This method often left me with distorted shapes and poor spacing between the non-connected elements. 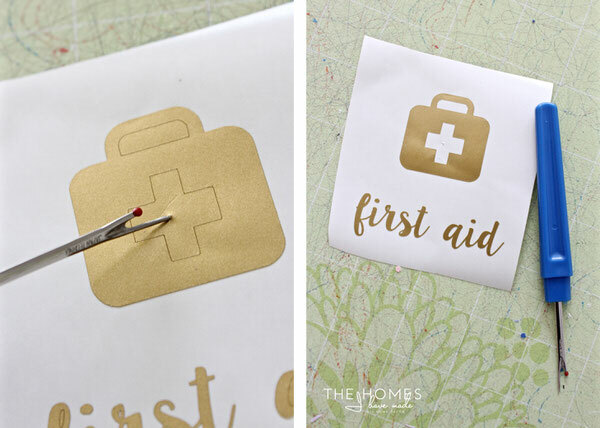 The key to perfectly transferring your image from the cut mat to your project is to use transfer paper ! With your entire image safely on the transfer paper, you can now place your design wherever you want it by simply reversing the process. 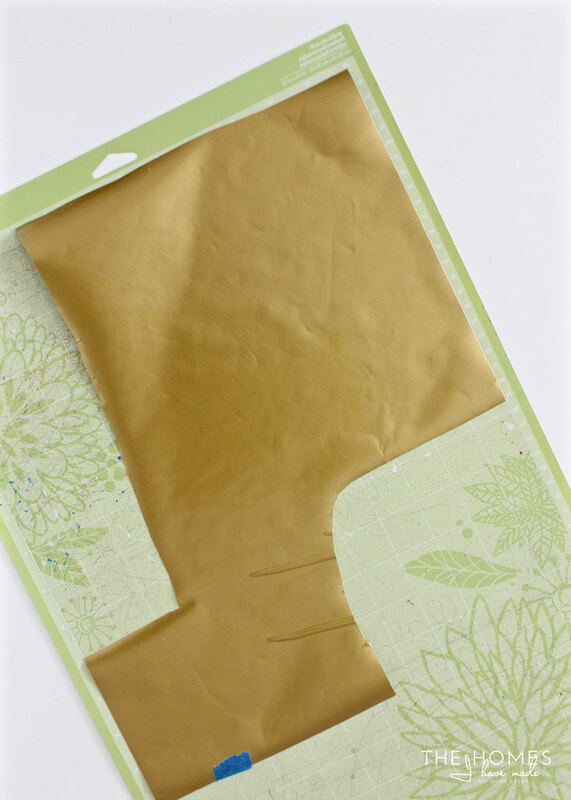 Place the entire stretch of transfer paper (with your vinyl shape attached) down onto your clean and smooth project surface. 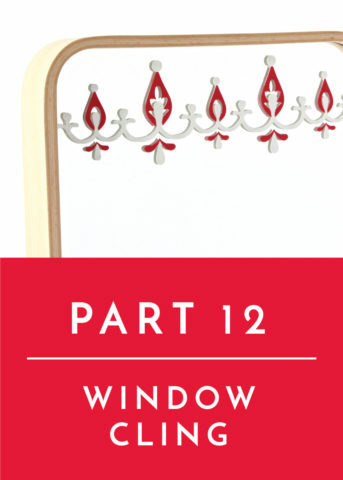 Press down firmly on all the elements of your vinyl design to ensure the shapes have adhered to your project surface. 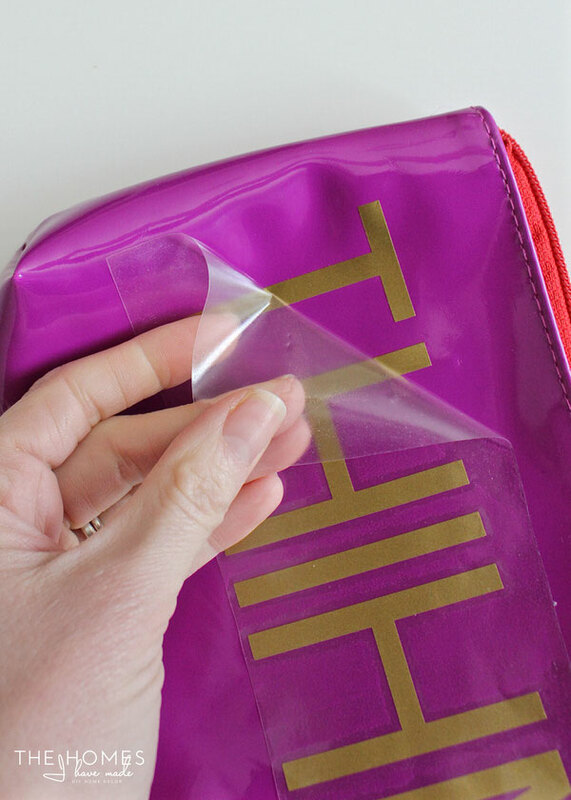 Then, carefully peel away the transfer paper to reveal your perfectly aligned, bubble-free design behind! 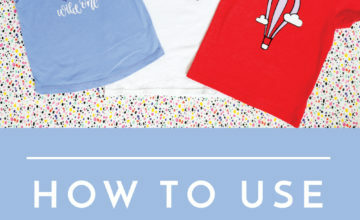 Vinyl is a one trick pony (meaning, it can’t be pulled off and used again and again), but transfer paper can be used over and over and over again until the stick wears down (usually about 3-5 applications). So save the paper backing and re-use your transfer paper until it doesn’t seem to pick up the vinyl easily. 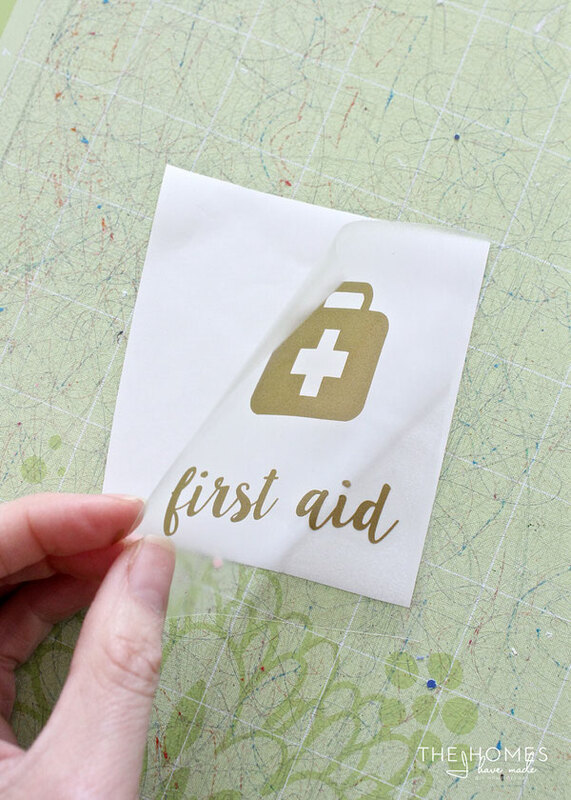 Transfer paper works best when putting vinyl onto hard surfaces; however, you can use it to transfer vinyl to fabric (like I did here) or plastic (like I did below). You just need to REALLY press every millimeter of your image down as much as possible before removing the transfer paper. 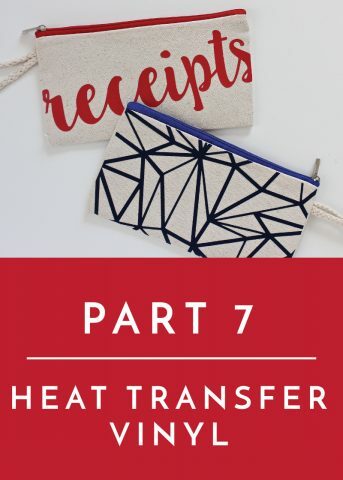 Even then, you will still need to pull the transfer paper away really, really slowly to ensure the paper release the image onto your less hard surface! 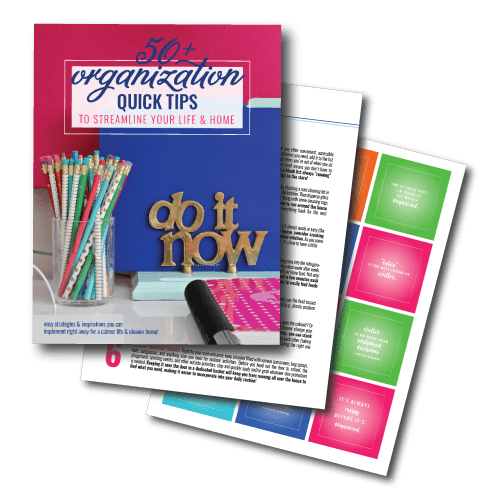 Are you mid-project and JUST realized you are out of transfer paper? Painters tape and clear contact paper both do the job almost as well! I mentioned earlier that I don’t like to cut my vinyl down to my project size in an effort to conserve vinyl. Here is an example of why. Below is a stretch of vinyl that, as you can see, has been cut from a variety of different sides. 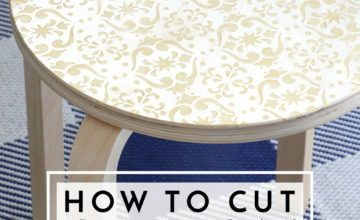 Instead of cutting down a little piece of vinyl for my next cut (which would potentially leave me with other small, awkward slices of vinyl), I simply line up my vinyl so that I have a straight edge along the top, no matter how wide it is. TIP! Then…in my Preview Cut Screen (just before you send your image to be cut), you can choose where exactly to place your cut image. 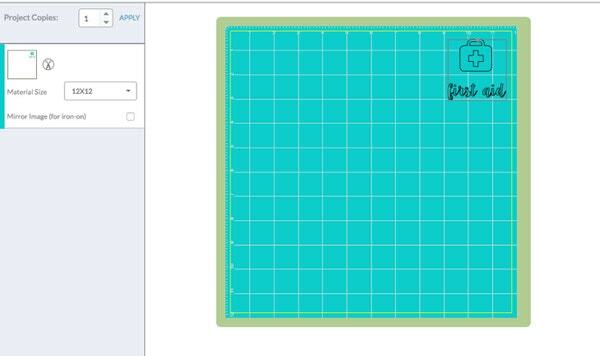 I use the grid boxes on both my mat and my screen to place the image where I have enough vinyl to fit the entire cut. In this case, I moved my cut image from the default placement (upper left) to the upper right where I have plenty of vinyl for the cut! However, this time, the negative space wasn’t all connected so it didn’t pull off in a single stretch. 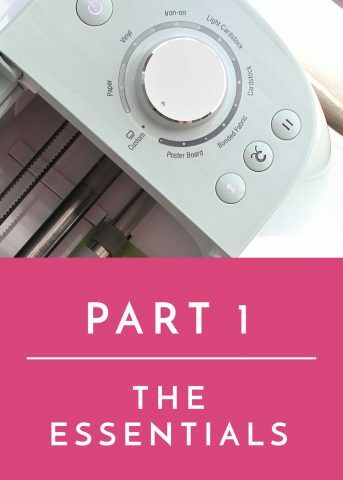 There were still some cut details inside the image and words that needed to be “weeded out.” As I mentioned in my Essentials post, I by-pass my fancy Cricut tools for weeding and head straight to my sewing drawer for my seam ripper! For whatever reason, I find it does the best job at getting all those tiny pieces of vinyl pulled out quickly and cleanly! 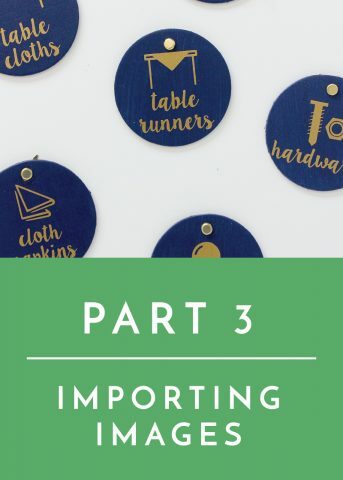 Pssssst – I now have these Household Label Cut Files uploaded and ready for you – and they are FREE! Get access to these 36 PNG or SVG files by clicking here! 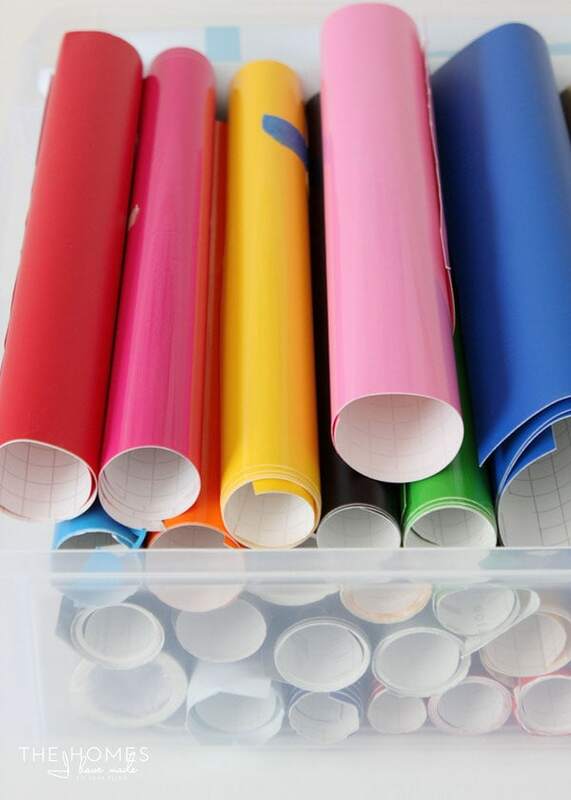 Unless you buy samples or smaller sheets (often available in variety packs), vinyl most often comes on rolls in order to keep it crease- and bubble-free. Since I like to keep a lot of colors on-hand for any project that might come along, storage can sometimes be a bit awkward and cumbersome. I’ve tried a few methods over the years; but currently, I have all my rolls tucked into a large, snap-lock tupperware (this one here). I like that the bin has a lid (so I can store it on it’s side like a briefcase), and it is shallow enough that finding and digging out rolls is pretty easy. 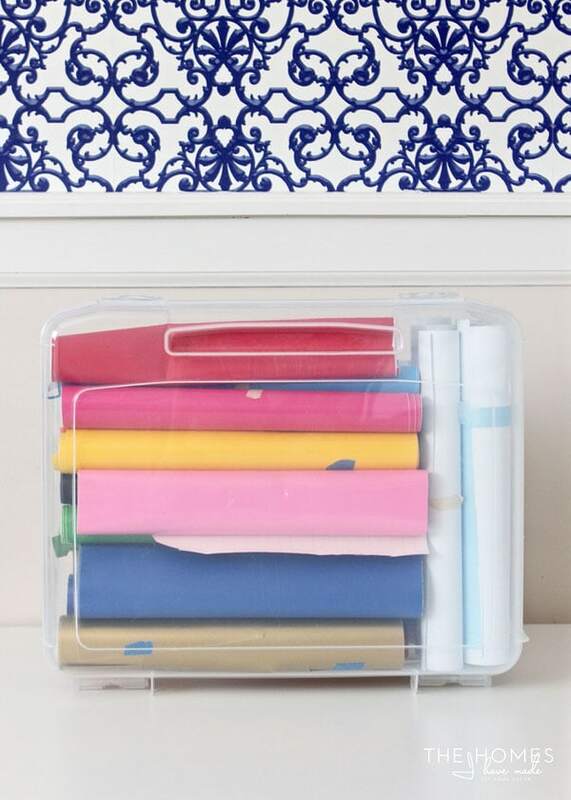 This storage methods keeps my rolls from becoming too disorderly (I have to roll and tape them up each time! ), and it also limits me to how much I can have on hand! Despite my efforts to waste as little vinyl as possible, small scraps and cuts are unavoidable. 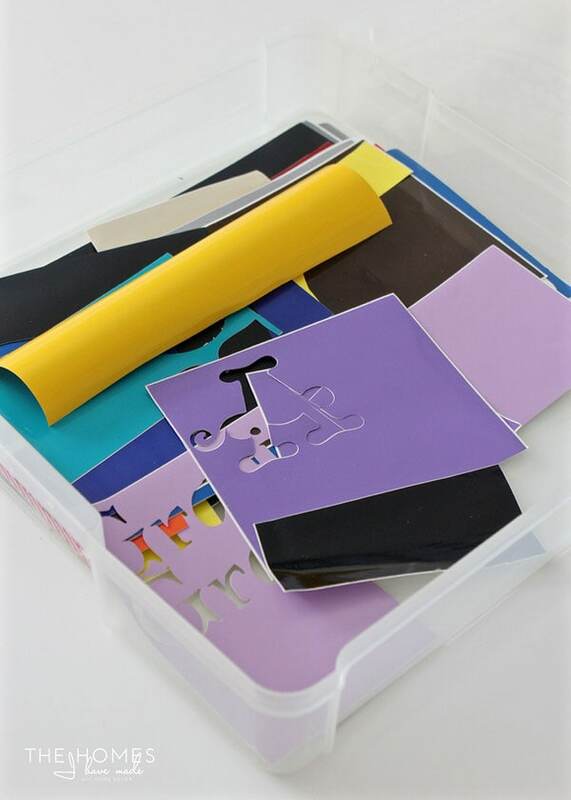 Because it is so easy to place cuts strategically on the cutting mat via the preview screen, I save most anything that is usable in a 12×12 scrapbook storage box. 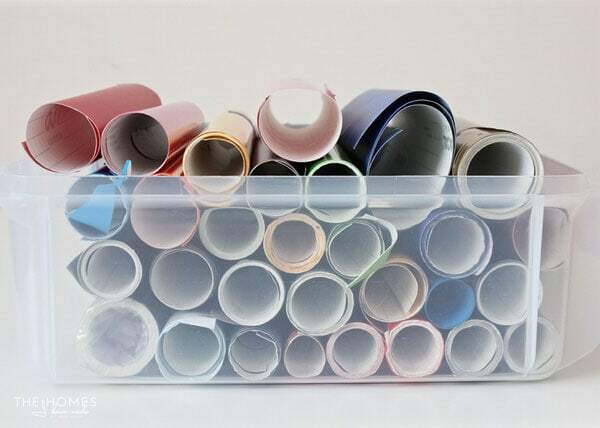 When I am making gifts, cutting single images, or have small details to cut, I often stop here to see what I have before pulling out my large collection of rolls. 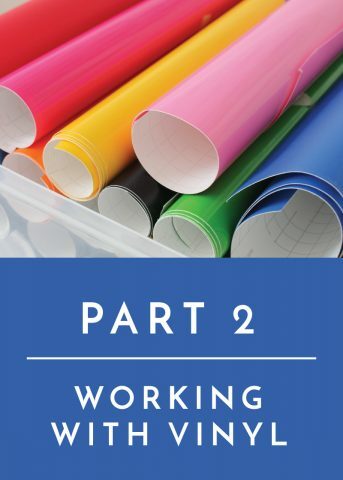 Everything I’ve covered in this post directly relates to working with standard, adhesive-style vinyl, which you use (mostly) on hard surface projects. 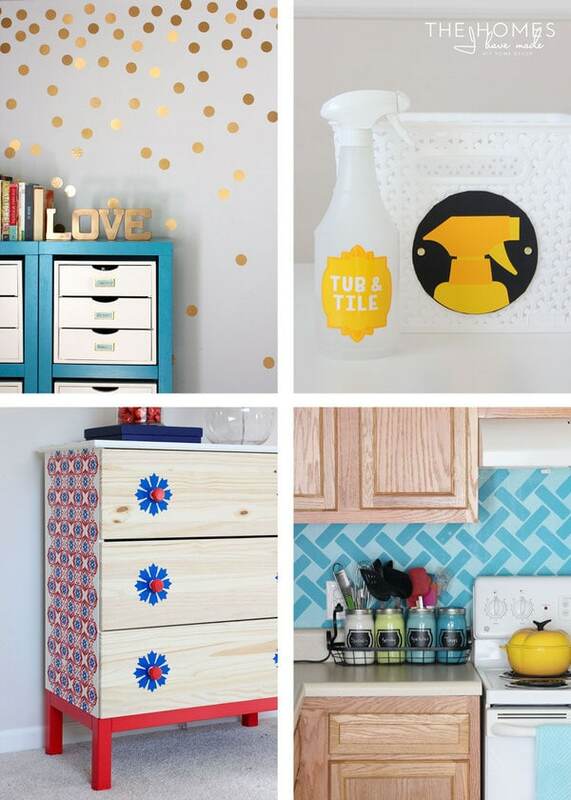 There are many other types of vinyls you may want to craft with, and some of them require slightly different techniques to get great results. 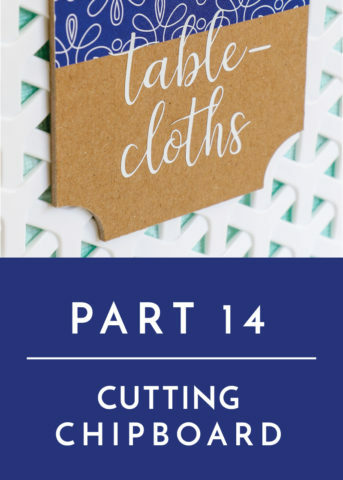 If you want to work with iron-on vinyls on fabric projects, see my tutorial here. 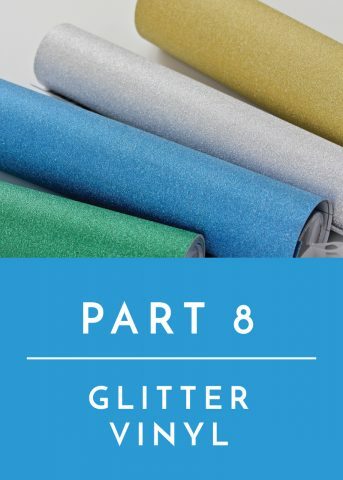 And if you want to work glitter vinyl, see my tutorial here! 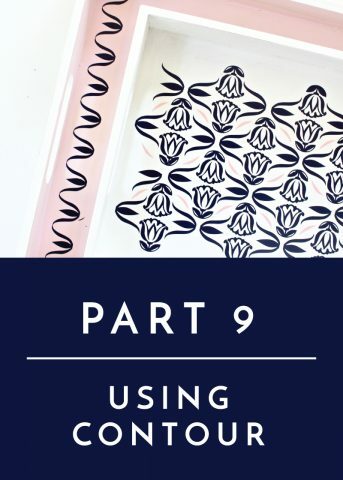 Working with vinyl can seem really intimidating at first, but I promise you will get the hang of it in no time! Weeding and transferring the vinyl does take some practice, so I recommend playing around with different images and texts and techniques before making something “for real.” Once you get the hang of it, I know you’ll be addicting to making awesome and personalized items for you, your family and friends! I am sure there are lots of details I forgot, so if you have a specific question, leave me a comment and I’ll get back to you! I hope you all have a great weekend! 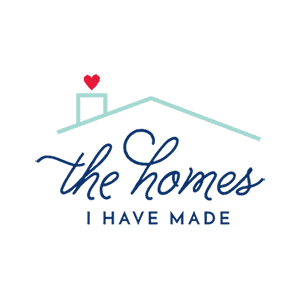 I’ll be back next week with our final room tour of our Kansas home (#sniff!) and then a quick round-up of my writings over the last few months! See you back here soon!